ونتوری فریولو, ماکسیمو. (1391). برنارد لاسوس : روشی «بی‌حصر» برای منظر. مجله علمی-ترویجی منظر, 4(19), 28-33. ماکسیمو ونتوری فریولو. "برنارد لاسوس : روشی «بی‌حصر» برای منظر". مجله علمی-ترویجی منظر, 4, 19, 1391, 28-33. ونتوری فریولو, ماکسیمو. (1391). 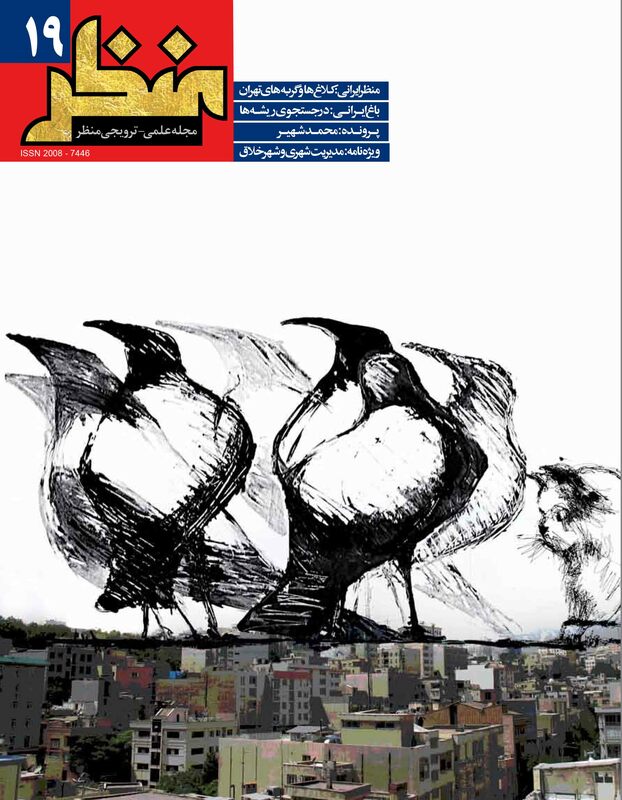 'برنارد لاسوس : روشی «بی‌حصر» برای منظر', مجله علمی-ترویجی منظر, 4(19), pp. 28-33. ونتوری فریولو, ماکسیمو. برنارد لاسوس : روشی «بی‌حصر» برای منظر. مجله علمی-ترویجی منظر, 1391; 4(19): 28-33. تئوری منظر «برنارد لاسوس» از پژوهشی عمیق در باب وضوح (نور، رنگ، جلوه)-آغاز شده و به مبحث باغ، به مثابه نهایت منظر، منتهی می‌شود؛ آنجاکه زیرساخت‌ها، که در اعماق ریشه دارند، در روند سریع جهانی‌شدن در مقیاس محلی ظاهر می‌شوند. منظر در میدان دید «محدود» و به واسطه نظر، که عامل تجربه سامان‌بخشی فضاهای مستقر بر تخیلی ازلی است، «قابل درک» می‌شود؛ تجربه‌ای که در عین حال تئوری است. این تجربه در یک تبادل درونی مرتباً میان نظر و عمل به یکدیگر ارجاع داده می‌شود. این فعل وارد فضا شده و حضور اشیا و ارتباطات‌شان را که سازنده هویت منظر است، ثبت می‌کند تا تصویر واحد، هویت‌مند و عمیق آنها را به دست دهد. اینها ویژگی‌هایی هستند که باید آنها را درنظر گرفت تا آینده تحقق پیدا کند. رابطه میان اُبژه (عین) و منظر، پیچیده، دوپهلو و ویرانگر است. کاربرد عمومی واژه «منظر» و پژوهش مدام برای تعریف آن، بر دشواری بیان ارتباط و پیوند میان اشیا و اُبژه‌ها صحه می‌گذارد. توجه به این روابط در بطن تجربه منظر است که بر یک نگاه استوار است. این نگاه تنها بخشی از فضای متراکم را در مقیاس دید می‌سازد. در این مقیاس عناصر در وحدتی قرار دارند که اغلب به صورت بخشی نیز قابل مشاهده هستند. بنابراین منظر، فرضیه‌ای بصری در ارتباط با مکان و محیط اطراف ماست. منظر، نادیدنی‌ها را بیش از دیدنی‌ها پوشش می‌دهد؛ یک بازی دایمی میان پیدا و پنهان، حقیقی و خیالی؛ بازی تخیل با روشی خاص و ابزاری برای پرده‌برداری از منظر و نه تعریف‌ آن. هیچ تجربه‌ای بدون مبنای نظری پدید نمی‌آید و بالعکس : ساماندهی مکان‌ها با درنظر گرفتن مرز میان واقعیت و صورت روشی آشکار در پروژه‌های برنارد لاسوس است؛ او روشی را پدید آورده که منظر را در حسی واقعیت‌گرا به گونه‌ای خاص تجربه و پیش‌بینی می‌کند. این مقاله به بررسی روند نظری وی می‌پردازد. Pprofessor of Aesthetics of Landscapes, University of Milan, Italy. change a landscape, and only the minimal intervention is enough. Lassus uses the visual techniques which include two scales: residents scale and landscape scale, the two different perceptions and landscapes. "Landscape residents" is an unknown inspiring footprint in Lassus’s researches. Research which looks for visual mechanisms understanding of a landscape’s general aesthetic. Bernard Lassus’s "Landscape residents" are the simple ones who change their life and home environment-no matter how small it is -. These residents create different scales of miniaturized Garden- Landscape through their imagination. Each of the creativity represents dreamy and non functional space. Only the one who dreams, would be able to understand vertical imagination: That’s the Garden. His profound thought got involved with gardens of imagination since 1961. He represented the new perspective of dramatic- ethnographical anthropological of the landscape which was founded in the infinite area (immeasurable area) on that time. Claude Lévi-Strauss considers the landscape residents as a new field between dramatic-ethnographical anthropological researches and studies. Lassus represents a landscaping method in which location and the creative mind (subject) are intimately linked. This process doesn’t create an object, but creates landscaping relationships; So that “the aesthetics as a landscape making method” which has root in place and basis in imaginary, is expressed. Lassus called landscaping as a conversion and motility art of the path, due to its impressionability. This probably should be the clearest lessons of Bernard Lassus. Merely the landscape democratic method can recognize the location and residents participation in selecting interventions, and can give landscape the value. Discovering places shows the cultural diversity, belonging and acceptance. These are the parts of a path which makes the life easier and more enjoyable for all near and far residents, and goes towards variety with all its contradictions and diversity, the enjoyable path for vision and spirit, a new garden for our world, open path, as a landscape totality. The modern path that discovers the depths of places, and the architect as an exhibitor, will create landscape method.